Due in great part to its secluded location in the Pocono Mountains lake region, a winding and uphill scenic drive about three hours from New York City, Woodloch Pines Resort is a delightful rarity these days: A sprawling yet unassuming family-owned, all-inclusive resort that provides a lakefront location, comfortable accommodations and plenty of old-fashioned fun. 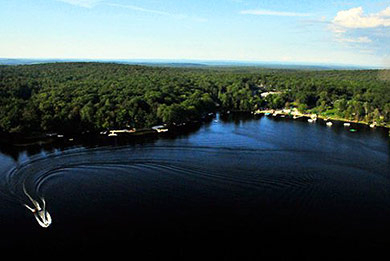 Woodloch encompasses 1,200 acres, about a mile of lakefront, and can accommodate 900 guests. To newcomers the place can be a little overwhelming; but a quick roam with the map provided at check-in should be all you need to get acquainted. Woodloch is woodsy, not glitzy. 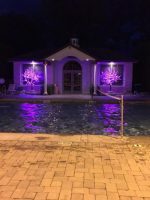 The grounds are well-kept and the staff is friendly and helpful, and really seem to enjoy interacting with the guests. Since 1958, families have been enjoying this all-inclusive resort that offers activities sailing, water skiing, live outdoor concerts, swimming, golf and so much more. There are three main options for accommodations, all of which come with the traditional meal plan of three meals a day. Most affordable are the Classic Standard rooms, which are located around The Main House, some of which have views of the lake. Deluxe Lakeview rooms are the next step up, and have indoor access to either the dining room and nightclub or indoor pool. 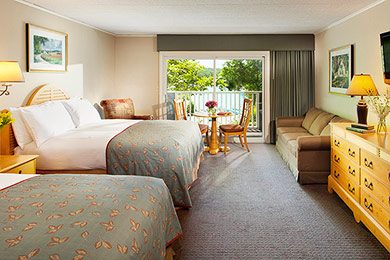 The Edgewater Suites are very roomy one- and two-bedroom suites, ideal for two to six people, and all have balconies, a view of the lake and indoor access to the pool. The one- and two- bedroom Mountain Laurel Suites have two queen size beds per room, a living room with a queen pull-out sofa, as well as a dining room, kitchen and washer/dryer. These large suites sleep four to 12 people. Suites are very spacious, homey and clean, and perfect for traveling with kids. In addition to an ample bedroom, there is a large sitting room (separated by a door that closes) with two couches and small desk, two bathrooms, a huge closet and a bar area with a min-fridge, microwave and coffee maker. Expect two televisions, one a flat-screen with video games available at an additional cost. The bathrooms are spacious, with all the usual amenities, including hair dryers, shampoo and lotion but no conditioner, so be sure to bring your own. Some suites have their own washer and dryer; but for those that don't, there is a laundry room in every building. 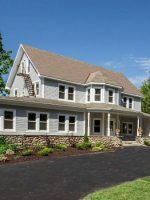 If you would like to opt out of the meal plan, and require more space for extended family or friends, you might try the resort's guest homes, which are located about two miles away in Woodloch Springs. The homes vary in size from two- to five-bedrooms, and in price; but all are furnished, with kitchens and washers and dryers. There is no shuttle bus between Woodloch Pines and Woodloch Springs, so families with young kids are probably better off on the main property, close to the food and fun, in a suite. In all rooms, bedrails and cribs are available. No pets are allowed, with the exception of guide dogs. In-room babysitting is available for a fee by resort employees, and you will need to call by noon to secure a sitter for that evening. I have been going here since I was around 8 with my family and travel there with my own little girls now. There is something for every age. So much to do and never a moment of boredom. The owners and staff make it a priority to have every guest feel like they are part of a big family. I have never been disappointed!! We book the two meal plan since the kids never want to stop for lunch. Plenty of areas to grab some light lunch if needed. All meals are wonderful with a lot of food! I have never had a bad experience here and it has been over 20 years of visiting. Pick a date and book it! 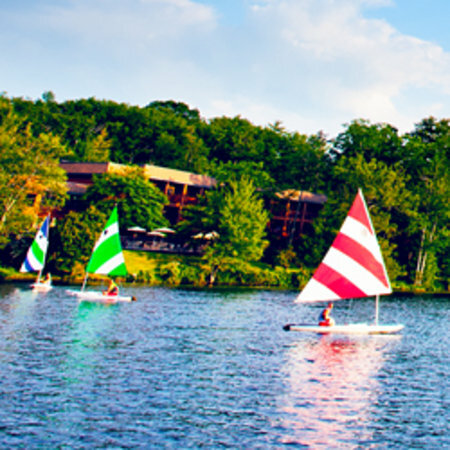 You will not regret visiting Woodloch and exploring all they have to offer. I was very hesitant to spend the money, but I’m beyond happy I did! There is NOTHING to think about or plan once you get there. It was extremely busy when we were there and the resort was so over staffed and well organized that there was never any chaos. Every single staff member went above and beyond to make us feel special. Upon arrival, we felt the room was tight and within minutes, two maintenance guys came and rearranged the furniture to ensure we were comfortable. The food is delicious and definitely plenty of choices. I absolutely loved how each activity encouraged the parents to participate with their children. It truly taught us about teamwork and reconnecting. I loved unplugging from all the technology!! Only down fall is that there are a few things that cost “extra”. Just a few dollars, but it was still annoying that it wasn’t ALL inclusive. Can’t wait to go back!! 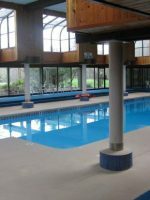 The Woodloch's approach to family-friendly recreation is all about spending time together, and there is no formal children's program; so if you are looking to check your kids into a supervised group and leave them for the day, this is not the place for you. But there are endless family activities scheduled throughout the day, all of which are well-orchestrated and fun, and the resort is teeming with kids. Because of its location on lake Teedyuskung, you'll find dozens of water sports and activities in summer, including boat rides, bumper boating, waterskiing, canoeing, kayaking, sailing, a rock climbing wall, fishing, and swimming. A quaint little sand beach with lounge chairs provides a gathering spot for many of the day's activities, and kids will love the waterslide that dumps swimmers into shallow water. Despite the plethora of more exciting options, kids may simply like hanging out in the kids' pool area, which is a great spot for young ones to splash around. The water is zero-entry and nowhere more than 18 inches deep. Little ones will love the frog waterslide, sprayers and soakers. There is also a small snack stand where you can buy drinks and ice cream, along with two dozen or so tables with umbrellas. In addition to the kids' pool are larger indoor and outdoor pools, a sports complex, go-carts, a shooting range, arts and crafts, a climbing wall, mini golf, batting cages, bicycling, bocce ball, tennis, racquetball and basketball courts, a baseball field, an arcade and several jungle gyms. The lake freezes over in winter, and a section is cleared for ice skating. Skates can be rented for a small fee at the sports complex. The resort has its own snow-making equipment, and in winter builds two snow tubing hills, a small one, and the Extreme Snow Tube Run, which is located across the street at the baseball field. 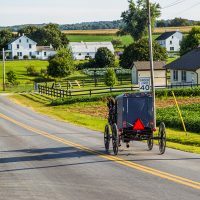 Also try snowmobiling (for an extra fee) and a horse-drawn hayride. During December and January the hayride takes you along a "Festival of Lights" along the nature trail. Winter activities include a Yule log and walnut hunt, holiday craft show, caroling, and a visit from Santa and Rudolph. There is also a snow-shoeing trail. If you are looking to ski, Big Bear and Elk Mountain are nearby. Several times a week there are Theme Nights at Woodloch, when teens (13 and older) and adults gather in the 500-seat Heritage Night Club for a Broadway-style show. On other nights the Night Club hosts swing bands, comedians, magicians and other performances. Nightly entertainment is included only in the Traditional (three-meal a day) package but will be included if you are not on the plan and opt to purchase dinner. Note that children 12 an under are not allowed in the Heritage Club; so if you want to see the show you must secure (and pay for) a babysitter for the night, or have one adult stay in the room with the children. In addition to the core resort activities, each day there are scheduled events for the whole family, both indoors and out. Events may include family Olympics, bingo, movies, makeovers, cocktail hours and dance classes. There is an indoor toddler room, supervision required. 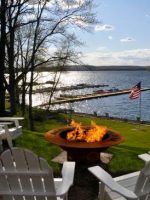 While there are some activities geared toward the youngest travelers (0-2), older children will have many more options, and will probably get the most out of a Woodloch visit. 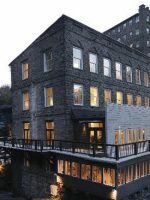 Families can enhance their stay with the Adventure and Passions Package, which can include zip lining, art classes, Delaware River white-water kayaking excursions, Escape the Room, shooting and challenging forest paint ball course. The Adventure and Passions Program is in addition to the resort's year-round activities. 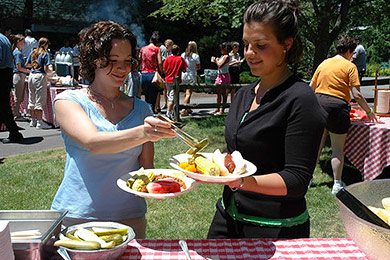 Guests staying at the main property of Woodloch Pines will be on the traditional plan of three meals a day, which does not include alcoholic beverages, and will dine in the Main Dining Room. 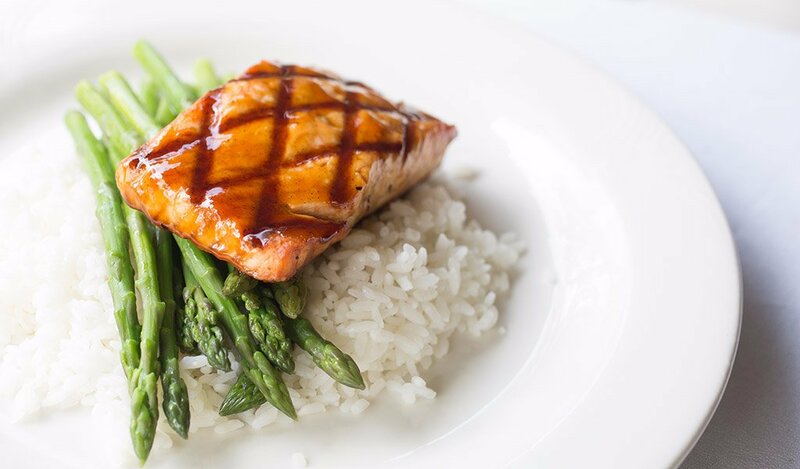 If you are staying in a guest house in Woodloch Springs, you have the option of no meal plan, or a two- or three-meal plan, and you will dine at a separate dining room, The Inn. You will also need to take the shuttle bus to get there; so if you do book a guest house, you might want to opt out of the meal plan. Three meals a day are served in the Main Dining Room, with seating at the same table each day. It's a communal dining experience similar to a cruise, so you will likely be seated at a table with other families. The dining room's American-style menu changes daily, and despite the resort's low-key, campy atmosphere, rest assured you can leave your mess kits and sit-upons at home. The dining room is large and elegant, and its location perched atop a hill provides great views of the lake and beach. Food is abundant and tasty, if a little on the heavy side, and the wait staff attentive and pleasant. There is no shortage of options for kids or adults; The Greek salad and grilled salmon were favorites, while the kids gobbled up the cheese fries and burgers, home-made raisin bread, and oddly, the string beans. Alcoholic beverages are not included in any meal plan, but are reasonably priced. Dress is smart casual, no hats, baseball caps or men's sleeveless shirts at dinnertime, and jackets are requested on theme nights. Highchairs and boosters are readily available, and crayons and coloring books are available for little ones -- just ask! There is a daily kids' drink special, usually some sweet and strange concoction that comes with a trinket or two, but they are from the bar and will cost a few bucks. The dining room overall is very kid-friendly; no one will mind kids who wander from their seats. Located in the main lobby, this shop offers made-to-order coffee drinks, fresh baked goods, sandwiches, salads, wraps and more. Sandwiches, hot dogs, wings, nachos and more are available at this casual outdoor spot. This full-size deli is stocked and ready to prepare sandwiches, pizza, salads, beer and other grocery items that your family may need. The resort hosts family reunions, and you can personalize your gathering with hats and T-shirts, as well as hold private group hayrides, boat rides and cocktail receptions, and even get a family photo taken. Be sure to bring bug repellant and apply it liberally. You're in the real woods and there are many critters. Having only a one-hour window for each meal works OK for some travelers, but not for others. Breakfast can start at 8:30 a.m., which, for early risers, is no biggie; but if you like to sleep in, it's an issue. Parents who want some alone time can take advantage of babysitting services for an additional fee. 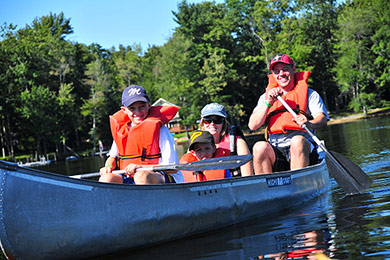 Woodloch is open year-round, and there are advantages to all seasons, depending on your family's interests. 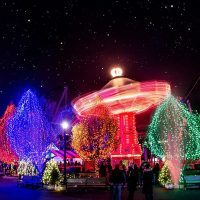 Summer is high season and offers the most activities; fall and spring are quietest but less expensive; and the resort gets all decked out for the winter holidays, including a visit from Santa and Rudolf. When traveling west to Woodloch Pines from the east, take Rt. 80-West or 95-North or 95-South through New York and New Jersey. When traveling from the west, take Rt. 80-East. From all directions, you will want to get on Rt. 6-West for approximately 13 miles before transferring onto Rt. 434-North to Rt. 590-West and you will run into the resort. Multiple shuttle buses continuously circle the property every 15 minute, so the wait is never long. There is no transportation provided between Woodloch Pines and Woodloch Springs, or the destination spa, The Lodge at Woodloch. Adults-only have access to the Lodge at Woodloch, a destination spa. The spa is just up the road from the resort, and offers customized spa treatments. The Woodloch's 18-hole, par-72 golf course, takes tee-time reservations up to 20 days in advance for guests at the resort. All levels of play can be accommodated.